No nonsense sleeping. 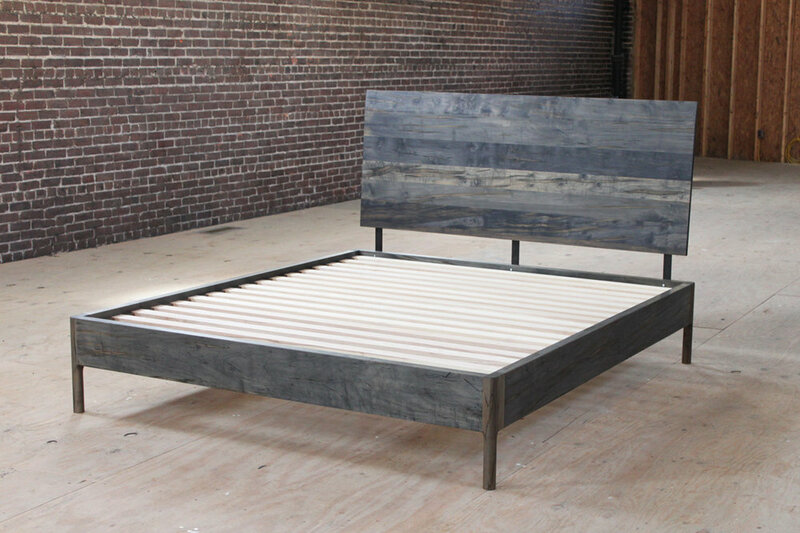 A solid yet light bed frame on turned legs. A slight angle of the headboard and taper at the top creates a comfortable sitting situation. Available in walnut, oxidized oak, oxidized maple or bleached maple.